which you can make during your staying time. Our company is also member of the "Wildewunder card" between the middle of may until october. Because of that there are a lot of special prices or free entrance in some attractions. It includes 40 different attraction in our region! mills and tracks truth the wildlife. 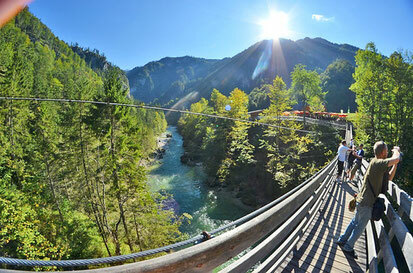 In "Wasserlochklamm" you will find a impressive hike trail along a lot of waterfalls and suspension bridges which are going above the river Salzach. 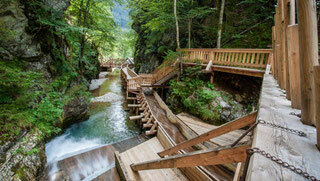 This river is also a perfekt place for water sports like rafting, kayaking and canyoning-tours. Hochkar offer for every time of the year wondefull hikes. 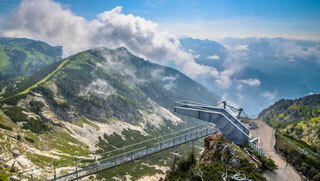 At the Skywalk you have a 365° view of the alps in Ybbstal. At "Hochreith" are situated unique hike trails around the upland moor. With a lot of picnick areas and eating stations. If you like we can give you also some tipps on site, when you need some help we support you on your decision for your trip. 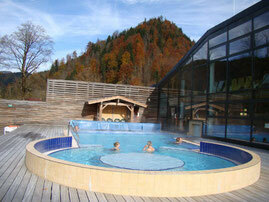 Solebad is one of the best places to relax but also to have some fun for Kids and Adults. In the "Solebad Emotionlifecenter" you can find a Kidspool, a big indoorpool, a outdoorpool, sportspool, waterslips,a sauna area, center for therapie and a fitnesscenter. 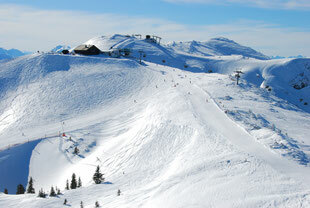 Hochkar offers for sure a lot of winter fun in the ski resort. 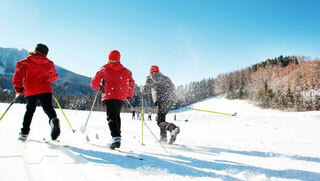 Because of big possibility of ski tracks the ski resort is attract a lot of people to ski and snowboarding. At Hochreith you can find the panorama slope witch is conecting the wundefull nature reserve Hochmoor. Here you can run from one Farm to another. 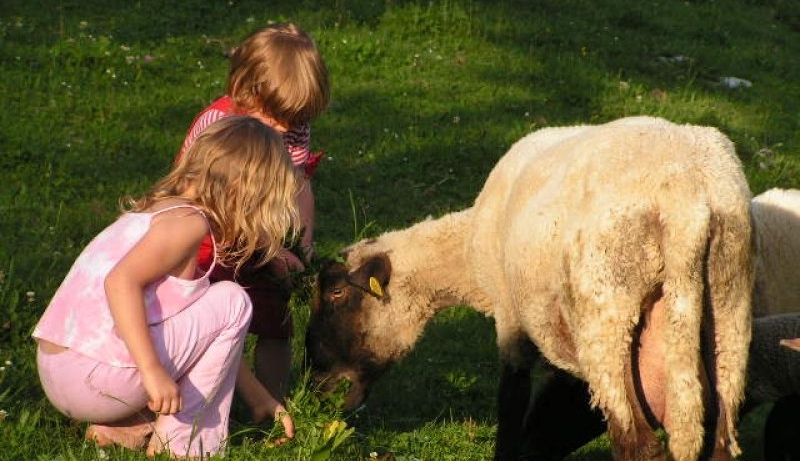 Also with the posibility to trink and eat something on the farm restaurants.